+Do you need some help with your business? +Are you interested in doing more online but not sure where to start? +Are you fearful or scared even, of where to take your fitness teaching and need motivation, mindset and help getting clear about your options and opportunities? 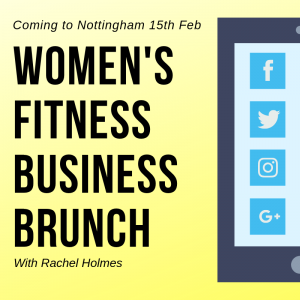 +Would you like to chat through your business issues in a small private supportive group of like minded female fitness professionals? A new event for women who teach Fitness, Group X, Yoga, Pilates or PT. *Are you feeling a bit stuck and overwhelmed with how fast social media and digital is moving and not sure how and what to do? *Have you an idea for a new fitness project, class or programme and want a sounding board or looking for help in how to execute your idea? *Join myself and guests for a new type of event helping all women who teach fitness move forward with inspiring talks, help, advice, mentorship, support, and FUN! 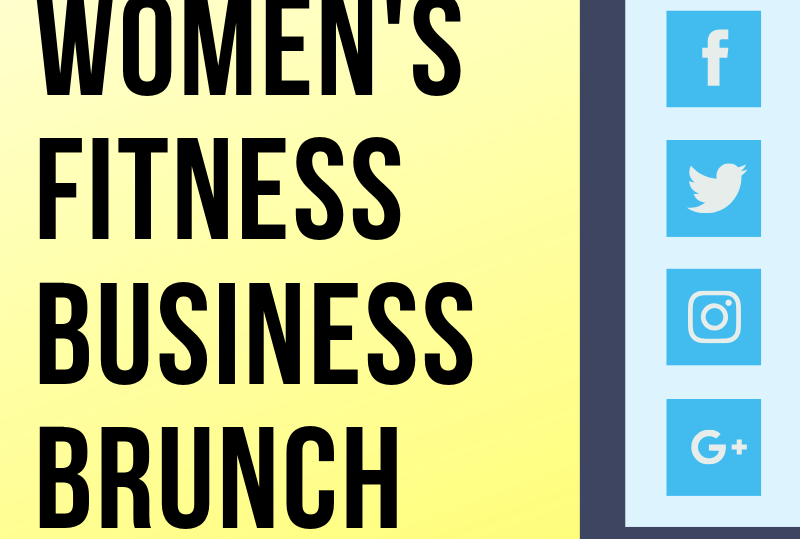 Wherever you are in your fitness career its changing times and the Business Brunch is a great opportunity to get the latest updates and help you work out an action plan all in an intimate and relaxed environment. + Facebook and Instagram Marketing and Promotion in 2019. +How To Not Get Sucked Into Social Media That doesn’t serve you mentally or financially.